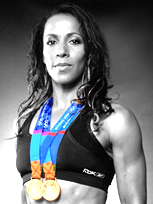 Dame Kelly Holmes secured her place in history by becoming the first British female athlete to win both the 800m and 1500m in the 2004 Olympic Games. One of her most successful seasons ever, Kelly's achievements on the track in 2004 set the pace for 27 high profile awards and accolades, among others BBC Sports Personality of the Year, European Athlete of the year, the prestigious title of the Laureus World Sports Woman of the year and in 2005 the ultimate honour of a Damehood by the Queen in the New Years Honours lists. Kelly first established her working career as a member of the British Army in 1988. Reaching the Rank of Sergeant, Kelly decided to leave in 1997 to pursue a senior athletics career full time. Upon leaving, Kelly was awarded a Member of the British Empire for her services to the British Army. 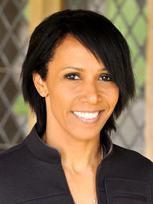 She then founded her own charity the Dame Kelly Holmes Legacy Trust in 2008 , to which she is the active Chair, to provide support to other elite performers as they develop a new career, whilst at the same time making the most of their skills and experience, mentoring young people through personal development programmes. Kelly also an Ambassador and Patron to many UK charities as well as being a key member of the Ambassador team for the London 2012 Olympic bid. Kelly chaired an Olympic Legacy Taskforce on behalf of David Cameron and suggested a ‘School Olympics’ to create competitive sport within schools as part of the sporting legacy post London 2012, which has now been adopted as a policy. Her current roles include member of the Commission for Women in Sport, and President of the Commonwealth Games England. She runs her own business developing fitness initiatives, equipment and heath products. Since Dame Kelly Holmes made history at the 2004 Olympic Games in Athens she has used her experience and knowledge to talk about being successful in the face of adversity and motivation hope to succeed. Kelly speaks from the heart, capturing the imagination of all that she meets. Dame Kelly imparts key information from her life as a Physical Training Instructor in the British Army, her outstanding Athletics Career. These presentations are equally effective at large team building sessions and sales conferences through to strategic retreats and change management sessions. Dame Kelly can also lead practical and physical team building sessions. Be prepared to be wowed, by her enthusiasm and energy. "Thank you Kelly" You really inspired and motivated the delegates to achieve their life goals, through an interactive and fun session. Your style made for a stunning presentation, which engaged the audience 100%. We really appreciated your honesty and openness and the opportunity to ask questions during the Q&A session. The feedback from the event was extremely positive with 100% of comments reflecting rating the session as excellent 5/5. I would have no hesitation in recommending Kelly as a fantastic speaker! "It was an honour and a privilege to have Dame Kelly Holmes speak at our Annual staff conference. Her talk was as inspiring as it was moving and I know all the staff present were grateful to have her there. I'd like to offer my personal thanks to Kelly for her passion and enthusiasm which exemplify so well the attitude Newham College tries to encourage in its staff"
Cyril Wood, Managing Director of Panasonic UK was delighted to welcome Kelly to Panasonics UK Headquarters in Bracknell, Berkshire to appear as a surprise guest at the company's Annual Policy Meeting. Kelly arrived to a huge welcome from the Panasonic team which was then followed by an outstanding motivational speech by Kelly. All of the Panasonic team were inspired by Kelly's experiences, words or wisdom and encouragement for the fiscal year ahead.